This combine of fashion earrings presents yet one more example of the very fact that simplicity is that thegreatest beauty. This pair of fashion earrings presents yet another example of the fact that simplicity is the greatest beauty. 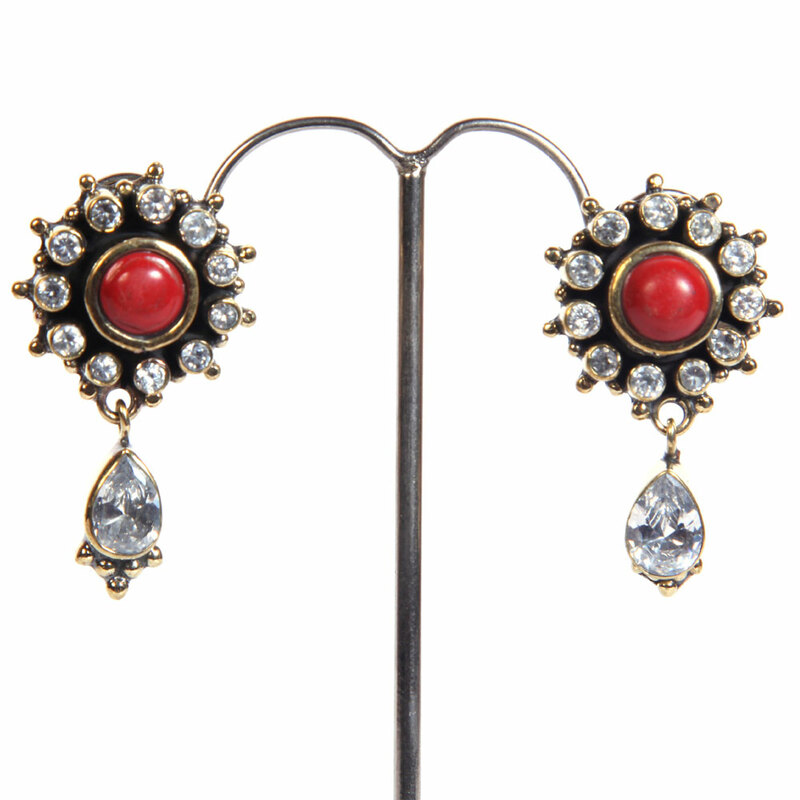 The studs have a red coral central Read More..piece enclosed in the gold plated brass metal frame. This is surrounded by dazzling white stones and attached to the base are white teardrop hangings. Show Less..